The former National Oceanic and Atmospheric Administration division chief will lead the institute in initiatives related to environmental protection and coastal ecosystems in the NYC region and beyond. Adam Parris has been named the executive director of the Science and Resilience Institute at Jamaica Bay. City University of New York (CUNY) Chancellor James B. Milliken said, "Jamaica Bay is a beautiful, ecologically complex habitat for both salt-water and fresh-water fish, wildlife and plants. Long under stress by urban development, the bay faces new threats from rising ocean levels. These factors make it a crucial laboratory for the Science and Resilience Institute." Gillian Small, CUNY's Vice Chancellor for Research said, "With human-caused climate change endangering our planet, we need great science to understand what is happening if we are to find ways to preserve our world. That's why City University joined in establishing the Science and Resilience Institute at Jamaica Bay, and I have no doubt that Adam Parris and his talented team will provide keen insights." "We are excited that Adam will lead this important institute," said William A. Tramontano, Brooklyn College provost and senior vice president for academic affairs. "He has wide-ranging expertise on coastal ecosystems and a strong record of administrative leadership. 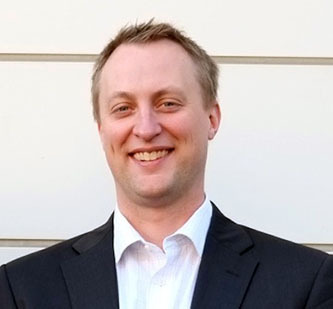 Adam will join a team that has been led by the institute's Interim Director William Solecki of Hunter College, who is a professor and director of the CUNY Institute for Sustainable Cities. They have already been working diligently since August 2013 to get key projects off the ground, including the creation of symposia at the institute and the development of the institute's permanent site at Floyd Bennett Field, part of Gateway National Recreation Area's Jamaica Bay Unit. The team has also been working closely with New York City, State and Federal agencies on issues relating to Jamaica Bay and the aftermath of Hurricane Sandy. 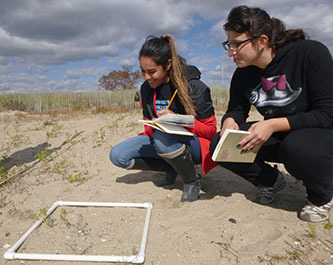 Graduate students of the Earth and Environmental Sciences Department examine the resilience of dunes in Jamaica Bay. Parris comes to Brooklyn College from the National Oceanic and Atmospheric Administration (NOAA), where he served as the Climate Assessment and Services division chief, Regional Integrated Sciences and Assessments (RISA) program manager and as a physical scientist. RISA is internationally recognized for its role in helping decision makers to manage weather and climate risks. Parris is also the lead author on the "Global Mean Sea Level Rise Scenarios for the US National Climate Assessment." He provided technical guidance and leadership on the Sea Level Rise Tool for Sandy Recovery, for which he received the Presidential Green.Gov award as a Climate Champion. Prior to his work at NOAA, Parris was a coastal planner for the San Francisco Bay Conservation and Development Commission. "The Institute is an incredibly exciting opportunity to foster science that the community can use to revitalize and transform Jamaica Bay," said Parris, who holds a B.A. from Bucknell University and an M.S. in geology from the University of Vermont. "I'm honored to lead a collaborative exchange between the region's cutting edge science institutions and the innovative people who manage Jamaica Bay. This is a testament to the current and future resilience of the city and state of New York." Since its launch in August 2013, the SRI@JB has received $7.7 million from New York State as part of the its CUNY 20/20 initiative; $3.6 million from the Department of the Interior's Hurricane Sandy Mitigation Funding to support research on environmental resilience in urban coastal ecosystems; and a commitment of $7.5 million from the City of New York for the permanent SRI@JB home within Gateway NRA's Jamaica Unit. It has also received significant support from the Rockefeller Foundation directly and through the Jamaica Bay-Rockaway Parks Conservancy (JBRPC), a public-private partnership with the National Park Service and the New York City Department of Parks & Recreation, dedicated to improving the 10,000 acres of public parkland throughout Jamaica Bay and the Rockaway peninsula. The institute has begun to study the water quality within Jamaica Bay and the health and resilience of its salt marshes, and also monitor and evaluate ecosystem restoration efforts. "Jamaica Bay is New York City's gateway to the Atlantic. The National Park Service's partnership with the SRI@JB is critical for us to better understand the ecological and sociological factors that impact the health of the Bay and its resilience to climate change and future storms," said Joshua Laird, commissioner of the National Parks of New York Harbor. "The selection of Adam Parris as the executive director is a big step forward in establishing the SRI@JB as a leader in urban coastal resilience science providing critical data that will enable the National Park Service to better manage all its coastal sites, including Gateway NRA." "We are thrilled to welcome Adam to the Jamaica Bay team," said Thomas F. Secunda, JBRPC chair. "Under Adam's leadership, SRI@JB will become the key repository for all of the research being undertaken by the myriad groups committed to improving Jamaica Bay." 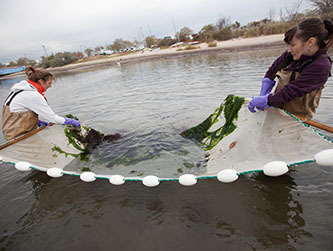 A Department of Earth and Environmental Sciences team searches for clues of the environmental impact Hurricane Sandy generated on Jamaica Bay. "We know that building resilience requires sound research and data as well as strong communities, and the Science and Resilience Institute at Jamaica Bay is committed to both," said Peter Madonia, Chief Operating Officer at The Rockefeller Foundation and a longtime champion of the institute. "Years ago, we provided the earliest funding for the Science and Resilience Institute because we saw the potential it to be the first of its kind. Superstorm Sandy only reinforced that we need it. Today, The Rockefeller Foundation remains committed to the Institute's growth and success, as it serves as yet another example of how New York is a national and global leader in resilience thinking and practice." "Reliable science and interpretation is critical to making appropriate decisions regarding water quality investments that will protect and enhance the habitats and surrounding communities of Jamaica Bay," said NYC Environmental Protection Deputy Commissioner Angela Licata. "Adam has promoted the value of providing local decision-makers with research to provide informative data, and pragmatic approaches that respond to emergent challenges. We look forward to working with him in his new capacity to analyze and prepare for the risks and opportunities that lie ahead." "Jamaica Bay is one of the city's great natural assets and plays a critical role in the city's climate resiliency plan," said Daniel Zarrilli, director of the NYC Mayor's Office of Recovery and Resiliency. "The city is excited to continue its work with the Science and Resilience Institute at Jamaica Bay, under the new leadership of Adam Parris, to improve the coastal resiliency and environmental quality of Jamaica Bay. By working together, Jamaica Bay can be a laboratory for the development of best scientific practices that can have not only a local impact, but a regional and global impact as well." Jamaica Bay—an 18,000-acre area located at the southern edge of New York City, and bordered by Brooklyn, Queens, and Nassau County—is a collection of meadowlands and waterways whose soil erosion has in recent years caused flooding of surrounding populated areas. The protection and revitalization of the bay is considered essential, not only because it is home to a diverse ecosystem, but also serves as a natural barrier against the forces of wind and tide, helping to minimize flooding and filter out pollutants. SRI@JB is a joint initiative among the National Park Service, the city of New York, and a consortium of leading research institutions, including CUNY, Columbia University, Cornell University, Rutgers University, NASA Goddard Institute for Space Studies, New York Sea Grant, Stevens Institute of Technology, Stony Brook University (SUNY), and the Wildlife Conservation Society.